VOICES (Views, Opinions and Ideas of Citizens in Europe on Science) runs a Europe-wide public consultation initiative, and provides knowledge on methodological and procedural aspects for the structural employment of citizen participation in defining the European research agenda in a framework of Responsible Research and Innovation. The project started in January 2013 and will end in July 2014. 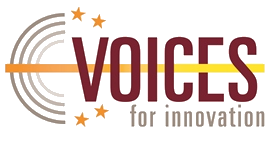 The VOICES project intends to address the stated commitment of the European Commission to formally include the results of the citizens’ consultations in the main policy documents that will shape the priorities of European research. The projects aims to use qualitative methodologies on a wide scale, which allow a deeper understanding and harvesting of citizens views, fostering governance processes and social innovation. The knowledge that will be gained with this pilot in terms of methodology, infrastructure and results, will be documented and presented as input to similar participatory actions in the future across Horizon 2020. Visit the VOICES website (external link, last accessed 28 March 2014).